With my wheelbarrow rehabilitated, I was moving pinefine amendments with ease Sunday morning. The colors in the gardens were gorgeous- golds and burnt orange everywhere. The woods and gardens seemed to glow. It looked like fall, but felt like spring. Like every gardener and every gardener's garden, I have spots within the Bettman gardens that have given me fits or have not inspired me. The raised bed is such a spot. The garden has been mulched into submission over the years. The first year I removed 'dead' mulch and tilled the soil a bit. The second year I added some plants but for the most part, things just sat there. Your landscape designer will often recommend taking out a garden, saving plants if you like, amending the soil and planting fresh. What I am experiencing with this garden is the reason why. To set a garden on a path to success, sometimes you need to turn and amend the soil to create a solid foundation in which to grow your plants. So, at last I’ve turned in 6 wheelbarrow loads of pinefine amendments. The only plants I left in were the Alliums and some Nepeta as well as some Lavenders that I treat as annuals along the edge. 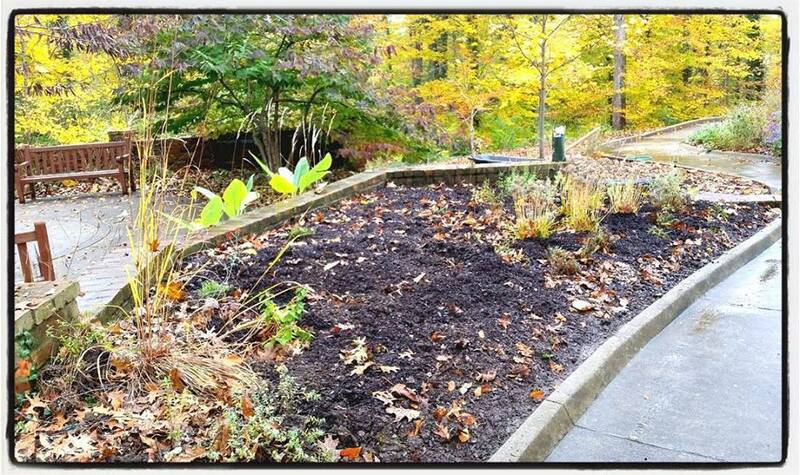 Before I plant I will work in some manure and more pine fines, if the slope of the garden can accommodate. You see, a garden such as this should have a slope to display the plants along the back, but not so much of a slope to cause erosion during a hard rain. To learn more about Wimberg Landscaping and to schedule a time to meet with one of our garden professionals, visit out website, today.